Forum Post: Are they crazy or just plain stupid? 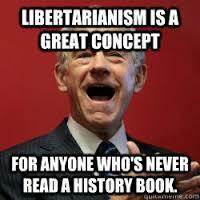 They believe libertarian ascendancy equals freedom. Anything that hinders the owners use of private property and transactions to appropriate the wealth of the community is part of a liberal conspiracy that hates liberty. For instance: the belief that man made global warming threatens human existence is perceived as a threat to the wealth they have accrued or hope to accrue. Such blasphemy is intolerable to the rich and wannabees. It dashes their hope for the libertarian utopia their theory predicts. 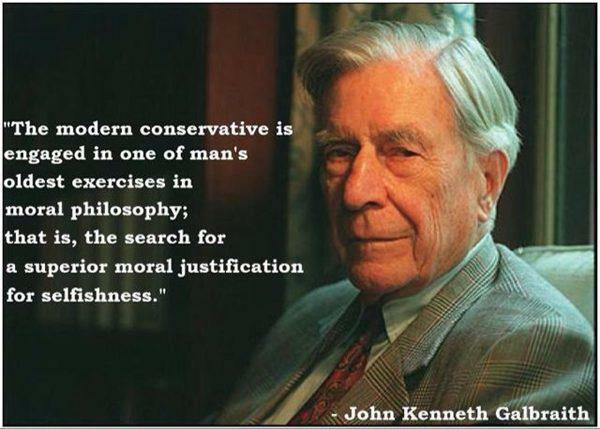 There faith in libertarian dogma is unwavering. We believe as strongly that capitalism creates its own problems, not least of which is the slow enslavement of worker bees with debt. The ill distribution of the wealth produced by the community and hoarded by the powerful few is seen, by me, as the greatest threat to human survival that has ever existed. The conservatives believe their wealth gathering techniques, not the people who work for them, create the wealth and therefore they deserve to have it all. We know that's harmful to the community that actually produces wealth therefore ultimately self destructive. Are they crazy or just plain stupid? They think the same of us and believe we are out to take what they've gathered by their righteous enterprises. Just ask the idiot Trump and the morons who follow him. And see what Hoppe has to say about the masses in: "Democracy: The God That Failed"
Is the libertarian utopia neo-feudal?